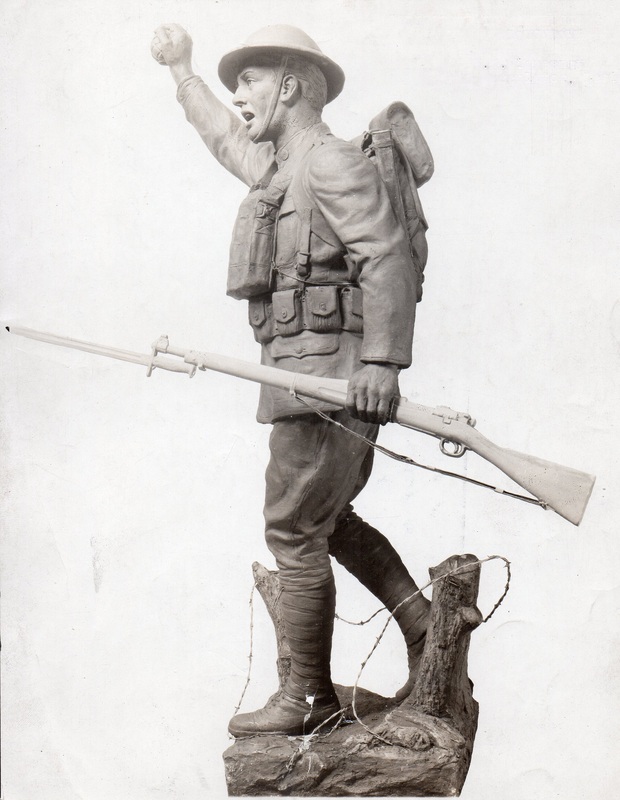 Press photos of the original sculptor's model of Viquesney's Doughboy. The rifle appears to be a mock-up. The artist continued to use these photos in his ads even after he made design changes in 1934. The photos above were released to the press by the artist whenever a newspaper needed a photo to include with a story about an upcoming dedication. 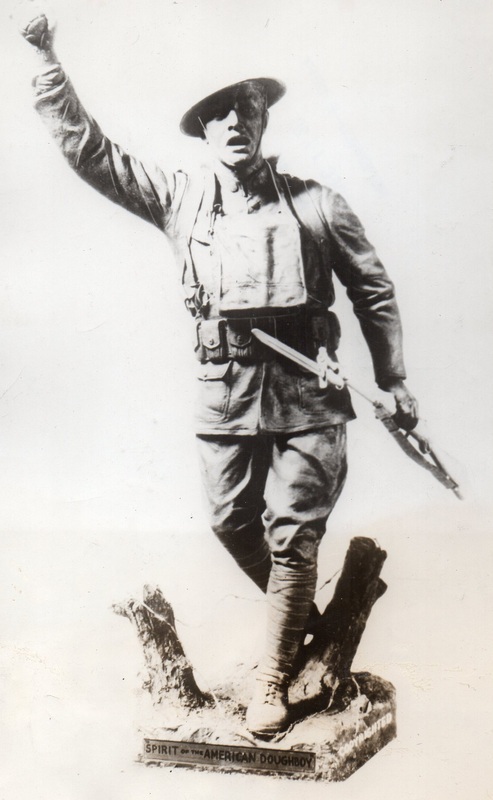 The photos of the full-scale model were even used in ads for Viquesney's American Doughboy Art Lamp, with a lampshade and electric cord composited in, as shown below. In reality, the 12-inch lamp base was much less detailed than the life-size statue. Detail from a Viquesney Doughboy lamp ad. 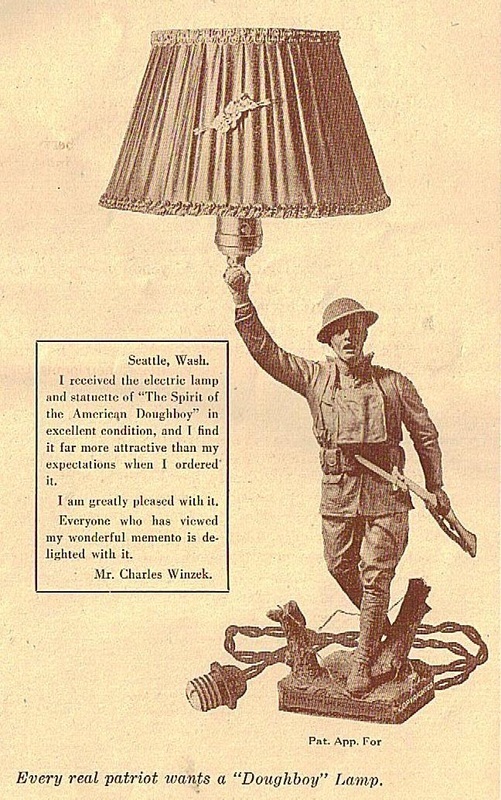 Deceptive advertising: These ads for Viquesney's American Doughboy Art Lamp show the same images of the full-scale model as in the press photos, but here are made to look like a small table lamp.